Whenever we go out to eat, one of my guilty pleasures is indulging in a little (ok, a lot of) creamy dip as an appetizer. As a matter of fact, I’ve even been known to order dip and chips as my main course, especially if there’s a creamy jalapeno popper dip on the menu. In my opinion, warm, creamy dips are the perfect appetizer. Hint – if we’re ever at a party together and you can’t find me, I suggest looking near the dip table – it’s usually where I’m hovering, and I’m not ashamed to admit it haha! Dips are my thing. 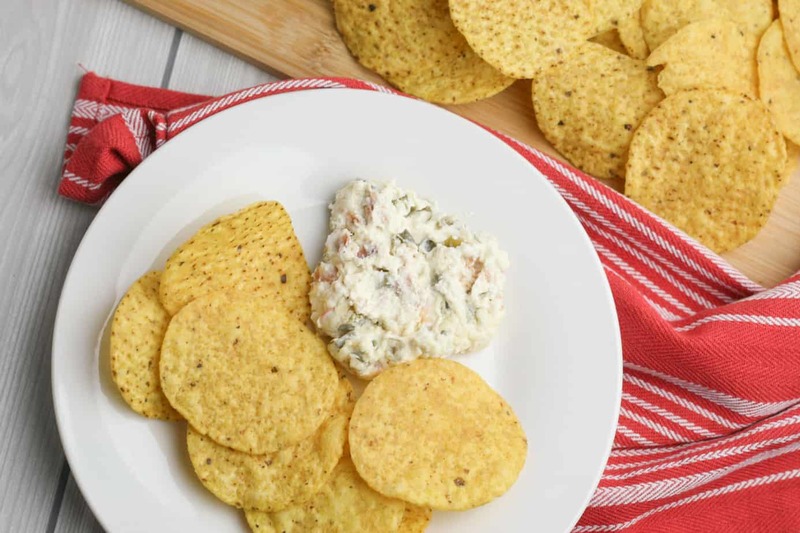 Dips are the perfect party food appetizer, and who doesn’t love indulging in some hot, creamy jalapeno cream cheese dip? 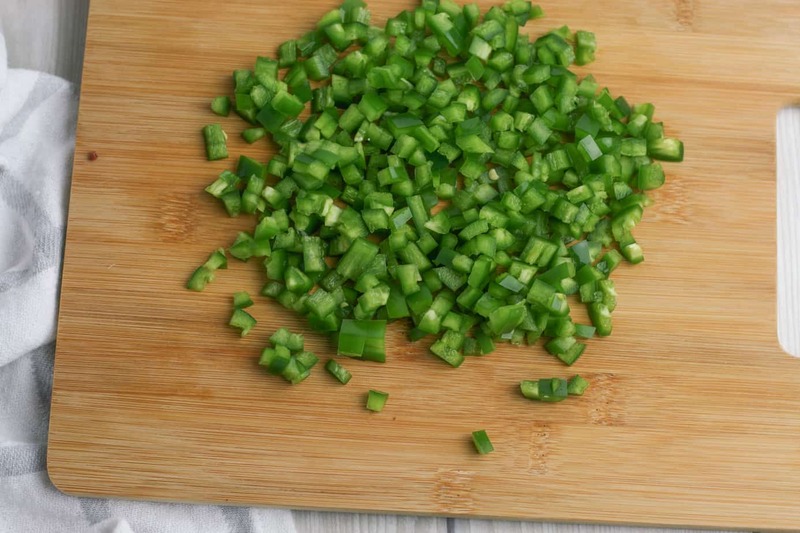 This jalapeno popper dip recipe includes the addition of bacon, but if you don’t eat meat you can either omit it entirely or stir through these vegan bacon bits at the end. 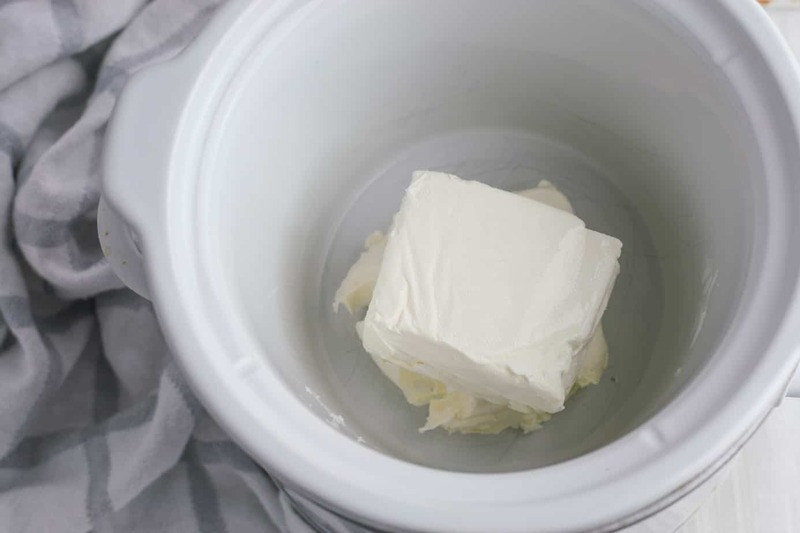 There are only 4 ingredients and it’s made in the crockpot, so you can easily throw everything in your crockpot and make some other party food appetizers while it’s cooking! 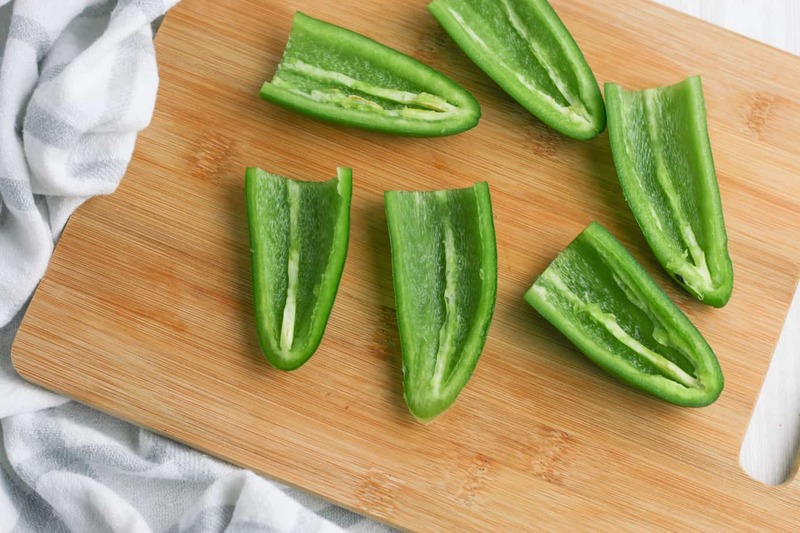 Half each jalapeno and remove the seeds. 4. 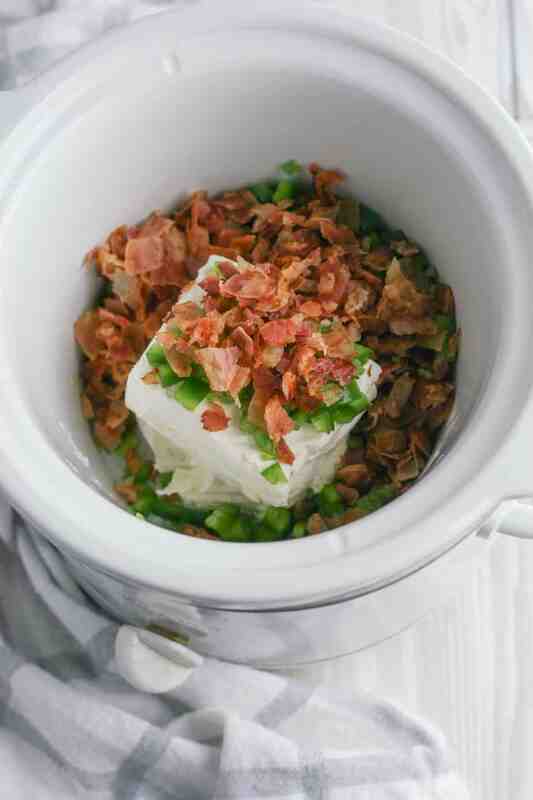 Top cream cheese with diced jalapenos, chopped bacon, and shredded mozzarella cheese. 5. Cook on low for two hours, stirring halfway through to combine ingredients. 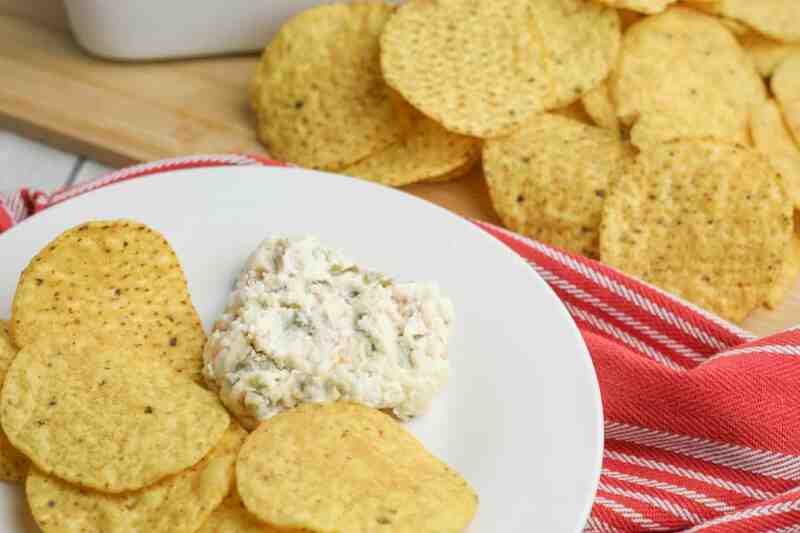 I like serving this jalapeno cream cheese popper dip with corn chips, but it also goes really well with Ritz crackers. Click here for more party food appetizer ideas!